After Hardwell and Jake Reese’s 2015 track ‘Mad World’, the pair have reunited on ‘Run Wild’. ‘Mad World’ reached the #1 position on the Beatport chart and possibly positioned itself as one of the biggest tunes of the year. With its big room production, ‘Run Wild’ aims to carry on where ‘Mad World’ left off. 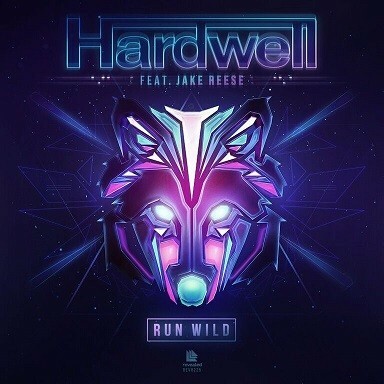 Once again built around Reese’s vocals and Hardwell’s big room chords, ‘Run Wild’ is full of emotionally charged blasts of sound and electronic textures. Here, the duo aim to show their strengths, as Hardwell alternates between dancefloor beats and introspective atmosphere, whilst Reese showcases a polished vocal track. Hardwell and Reese’s collaborations demonstrate a strong synergy between the DJ and the Dutch vocalist, which may well continue with future productions. Check it out below, it’s out now on Beatport and 4 March everywhere else.